I own several properties in Danville. I have used TLC each time a tenant moves out to clean the carpets and am always very happy with their work. 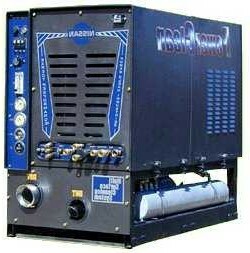 The amazing RX-20 HE revolutionizes the way carpets are cleaned. The five vacuum heads and new three jet system rotate at 130 RPM creating 650 complete cleaning passes per minute. This super agitation, combined with the unit’s weight, deeply cleans, extracting soil and cleaning solution. We thoroughly clean your carpet in a one-step process that cleans all sides of the carpet fiber. Restore filthy, matted, traffic areas. Carpets are an important investment in your home so it imperative you maintain them well to maximize the value and life of your carpet. The smart way to do this is to have TLC Carpet & Upholstery Cleaning perform their professional processes which will utilize the most appropriate chemicals and method available to remove stains, dirt, dust, oil and bugs that have built up from the base to the top of the carpet pile utilizing our powerful extractor system. Carpet cleaning may seem simple however all TLC technicians must undertake thorough training before commencing learning about the various types of carpet construction such as tufted, woven and fusion bonded. TLC technicians are skilled in customer service, stain removal and ultimately steam cleaning. Many different cleaning techniques and chemicals must be applied to a range of carpet pile designs which include Cut and loop, Twist, Level loop, Tip sheared, Saxony, Plush, and Twisted. Regular vacuuming is always recommended to maintain your carpets, however, having your carpets professionally cleaned on a regular basis will extend the life and reduce wear and tear.